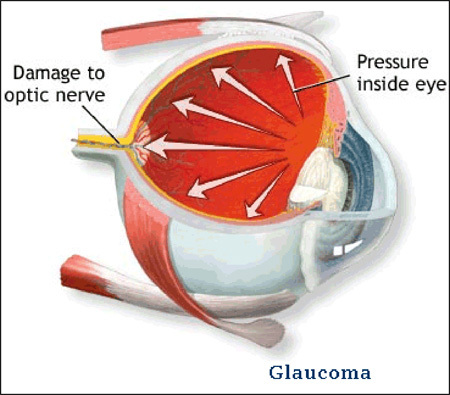 Glaucoma is an eye disease in which the optic nerve is damaged in a characteristic pattern. This can permanently damage vision in the affected eye(s) and lead to blindness if left untreated. It is normally associated with increased fluid pressure in the eye (aqueous humour). The term “ocular hypertension” is used for people with consistently raised intraocular pressure (IOP) without any associated optic nerve damage. Conversely, the term ‘normal tension’ or ‘low tension’ glaucoma is used for those with optic nerve damage and associated visual field loss, but normal or low IOP.